A Career in Computer Engineering Technology: What is it? Computer engineering is about hardware and software systems and about getting them to work together efficiently. Computer engineering technologists work within the industry in supportive roles. The pathway to a computer engineering technology job can be shorter than it is with a traditional engineering degree -- you may break into the field with either an associate's or a bachelor's. If you do opt for a four-year-degree, you'll get a slightly different education than if you opted for computer engineering. Computer engineering technology is more focused on pragmatics than theory. You won't need as much engineering, and you may not need as much calculus either. Computer Engineering Techs may work as network and computer systems administrators making nearly $72,00 according to the BLS. What can you actually do with your education? Plenty. Purdue University calls engineering technologists practitioners, noting that some engineering programs grew out of the 1950's and 1960's push to be the most technologically adept nation. Excellence in this new frontier required conceptualizers -- people who could create new knowledge. Only a portion of today's engineering jobs, though, actually require conceptualizers; the other require practitioners. Graduates of high caliber engineering technology programs do take on engineering roles, though they can't compete for all the positions they could if they had an engineering degree and an engineering license. The ABET accrediting agency notes that associate level computer engineering technologists are prepared to take on tasks like building, testing, maintaining and operating; baccalaureate candidates can also develop and implement systems. The computer engineering technology curriculum will give you a foundation in computer engineering concepts like electrical circuits, semiconductors, and embedded systems. What are computer engineering technologists doing on the job? Options include quality assurance, computer integrated manufacturing, technical documentation, and computer repairs. Schools also report that their graduates have been hired as computer systems engineers, computer test engineers, and software engineers. Prospective students should be aware that many engineering positions do favor those with bachelor’s degrees. Jobs for network and computer systems administrators were expected to grow 23% between 2008 and 2018. An average salary of $72,200 was reported in 2010. Computer support specialists saw an average of $49,930 during the same time frame. It should be noted that computer support positions don’t always take a lot of education; some are available to those with associate degrees. Computer systems analysts, who generally do have a bachelor’s degree listed on their resume, saw a mean annual wage of $81,250. Purdue University calls engineering technologists practitioners. As with other careers, it takes experience to reach these income levels. Some graduates pursue certifications to validate their competency in areas like testing or quality assurance. Computer technology programs can be accredited by ABET's Technology Accreditation Commission. There are separate standards for associate and bachelor's level programs. 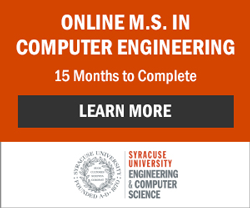 Both programs will teach you the basics of electrical circuits, operating systems, microcomputers, electronics, and local area networks; they will also teach you how to apply these concepts to building, testing, operating, and maintaining systems. Bachelor’s programs will introduce you to project management – an integral part of the software engineering life cycle. Systems analysis is also taught at the bachelor’s level. There is a good deal of variety in approach. Some programs combine computer and electrical engineering. Some include field work as a degree requirement. Others give you the option of completing an internship for elective credit. Indiana State University Reports that some students opt for minors like business to increase their employment options.